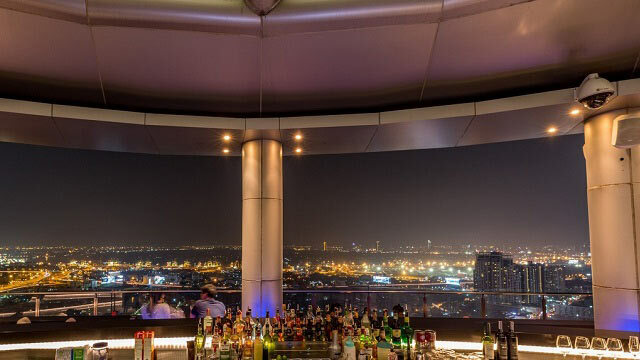 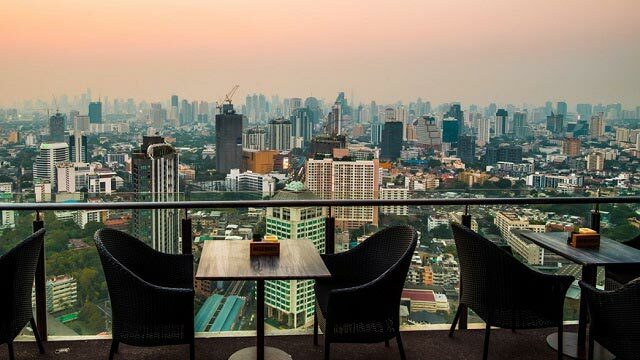 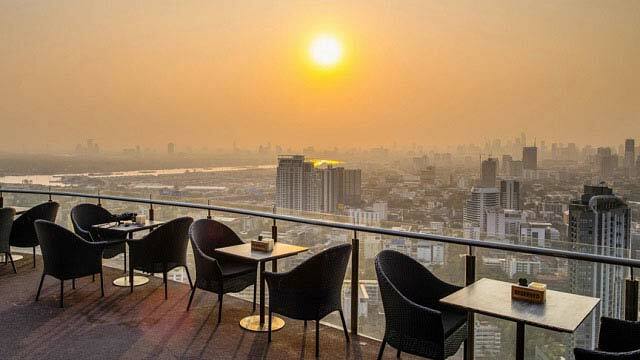 From the Cielo Sky bar Bangkok you get a magical 360-degree view of Bangkok and there are plenty of "front-row" seating including sofas, tables and chairs. 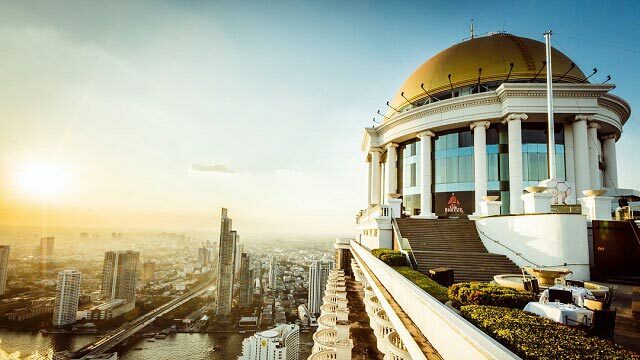 If you are not afraid of heights, it's a really cool experience. 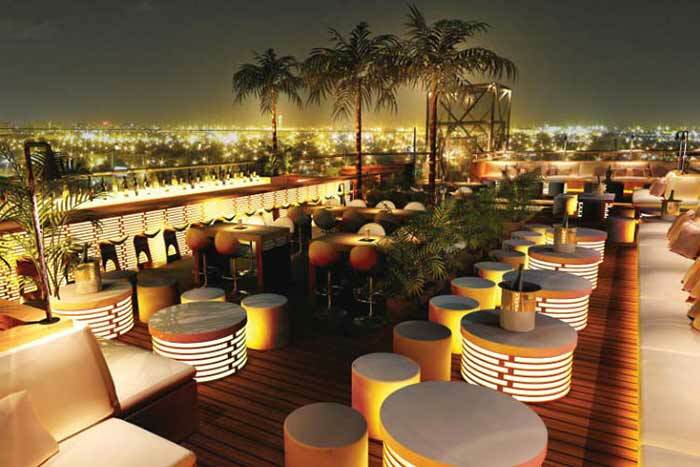 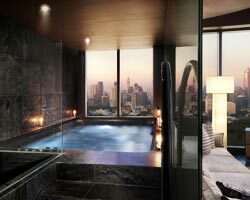 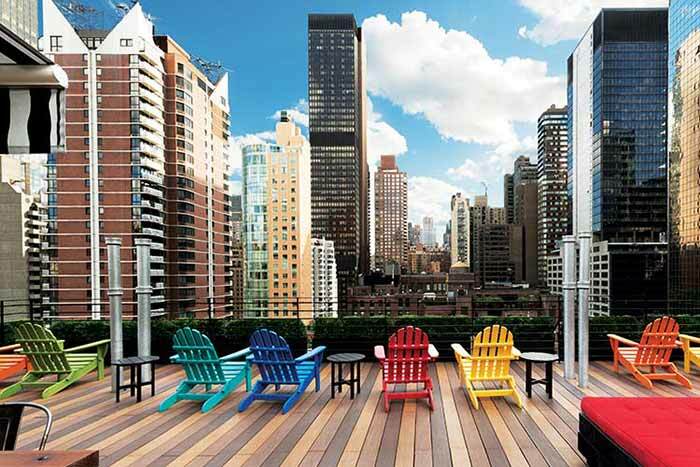 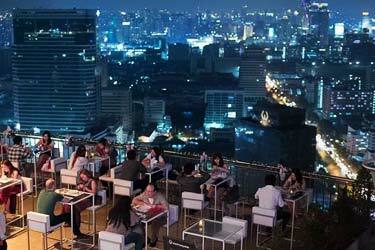 The setting at the rooftop is a bit like 1960's elegance, with a relaxed atmosphere and good and quick service. 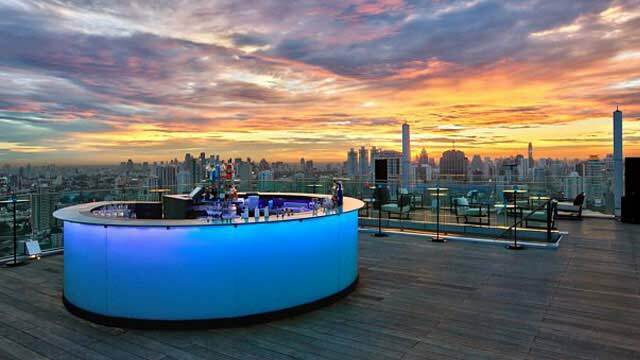 From the Cielo rooftop bar you can order from a good selection of wine and beer, and there are both signatur modern technique cocktails and alot of classic ones to choose from. 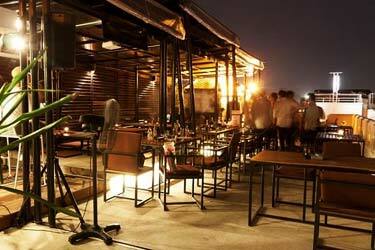 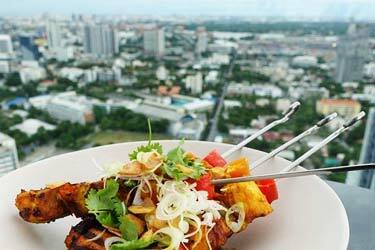 Regarding food, the space is actually called Cielo Skybar & Restaurant, so there is a full kitchen serving well made Thai and Western food at very reasonable prices. 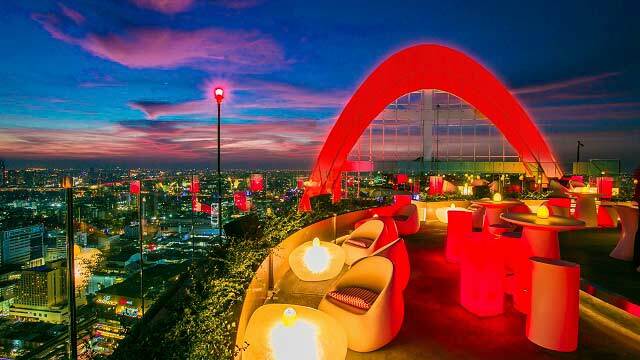 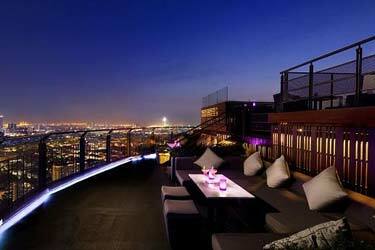 Cielo Bangkok is located quite "far out" on Sukhumvit Rd, which gives it a diffrent view than most of the other Bangkok sky bars.